The Army is giving 13,000 armored military trucks to local police departments across the country in the latest move to militarize our police forces. These are vehicles of WAR, and they are now going to be used on American streets. 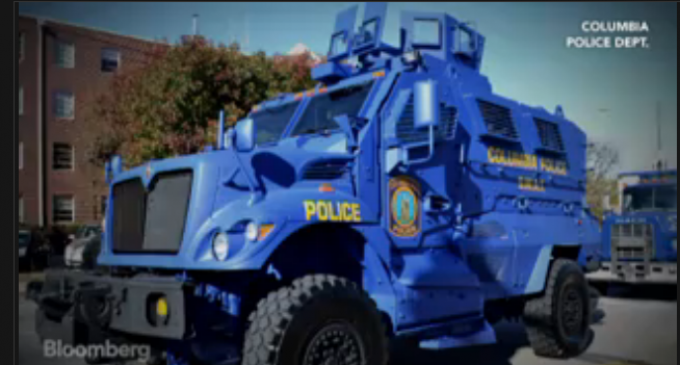 Each of these trucks cost $500,000, and the Army is giving them away for free. This is our taxpayer money that they are handing to the local police, to attack us. Doesn’t that sort of defy good common sense? Very unAmerican too! Welcome to police state America! The readers of this group need to prepare to surrender or fight! What is American about a Kenyan, Muslim, communist running The USA. Put there by low information ethnic tools voting for their next check.